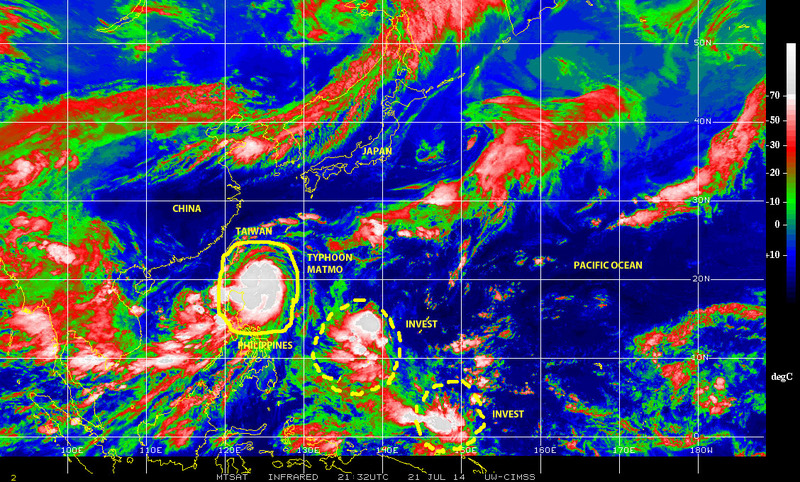 21 July 2014: Tropical Depression TWO & Typhoon Matmo! Who needs hurricanes and tropical storms when we are having a daily dosage of foul weather, with plenty of rain, lightning and thunderstorms, in South Florida? 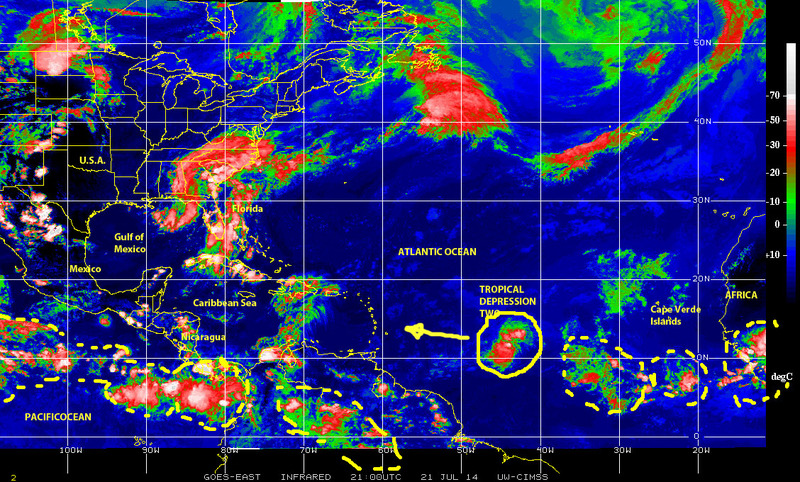 But do not get used to this daily routine and forget this is still the 2014 Atlantic hurricane season. Speaking of which, there in the midst of ‘hurricane alley’ there is Tropical Depression TWO moving toward the Windward Islands, while a train of disturbed weather and a couple of tropical waves over Equatorial Africa trail right behind it. 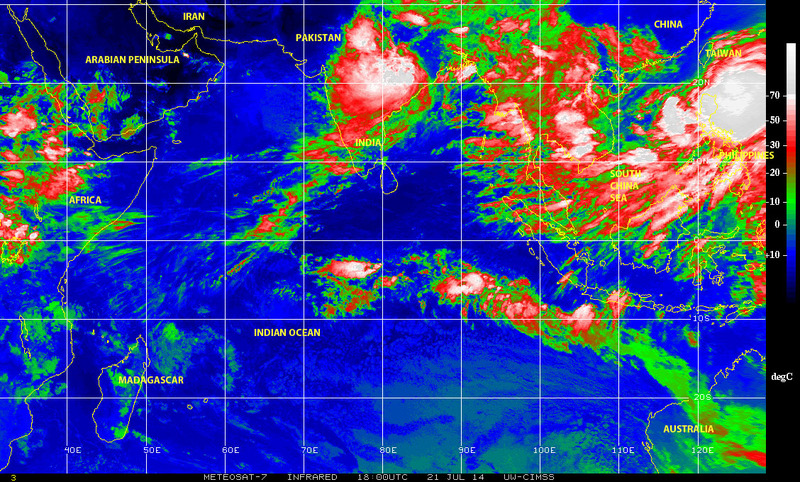 So, there is some potential cyclonic activity in our basin. All interests from Barbados to the Virgin Islands should monitor this system closely over the next couple of days as it continues to track generally westward. On the opposite side of the world, over the far northwestern Pacific, in a region that has already seen several tropical cyclones, including a recent Super-typhoon, there is Typhoon MATMO a large. 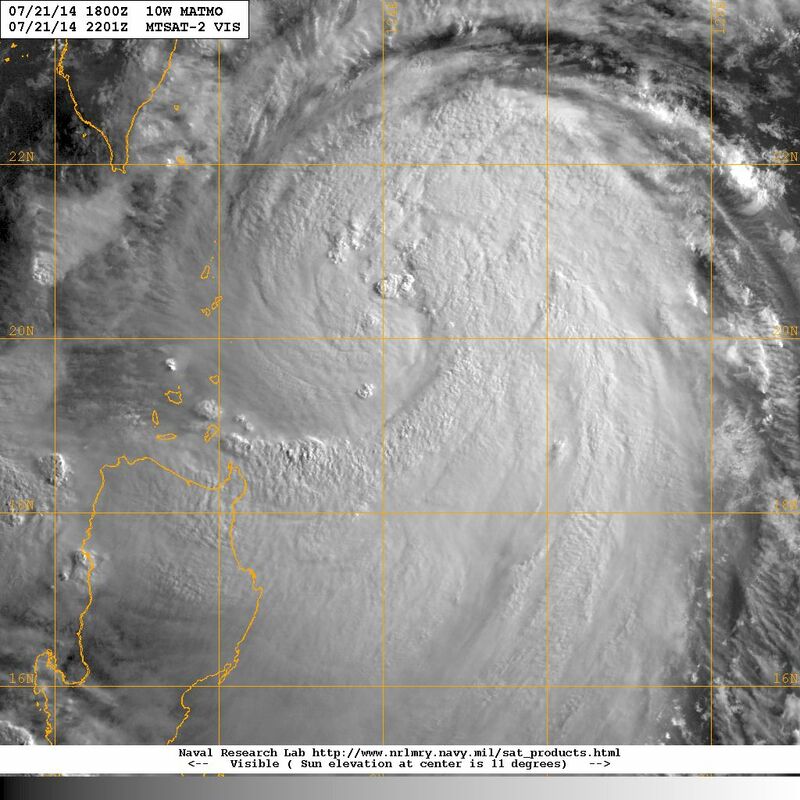 but not too strong of a system now menacing the northern Philippines, Taiwan and even China and the Korean Peninsula. Still over the Pacific but farther to the east, all the way to the coast of Mexico and Central America, there is a rather long aggregation of tropical waves and disturbed weather cells reaching all the way to the Philippines Sea and the western Pacific where there two large systems showing some potential for further, even cyclonic development over the next day or so. Over in the Indian Ocean, it is the northern and northeastern regions of the basin that are displaying rather large areas of stormy weather. 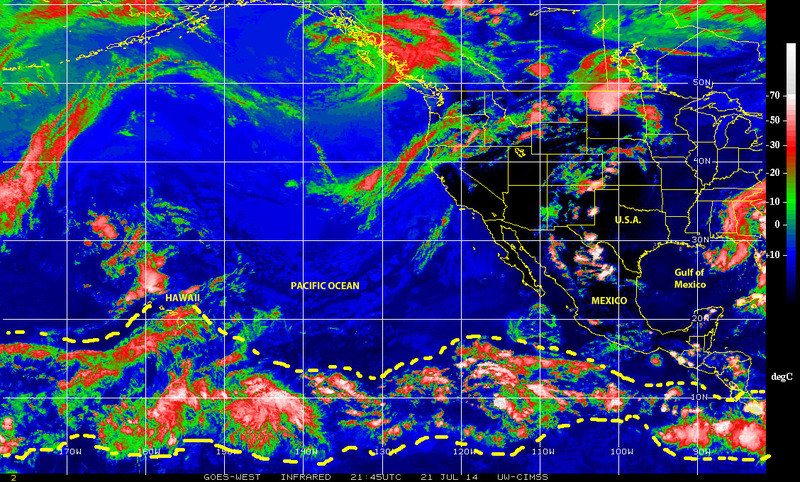 This display of stormy weather is seen clearly in satellite images taken with an infrared filter. In summary, there is enough cyclonic, potentially cyclonic, and just plain stormy and foul weather in the northern tropics around the world, to remind everyone that this is the time of the year when we must remain alert, be prepared and continue to mitigate! Previous PostPEER VOICES: A conversation with Caroline Lewis of The CLEO Institute!Next PostJuly 27: Hernan, Genevieve and more…!